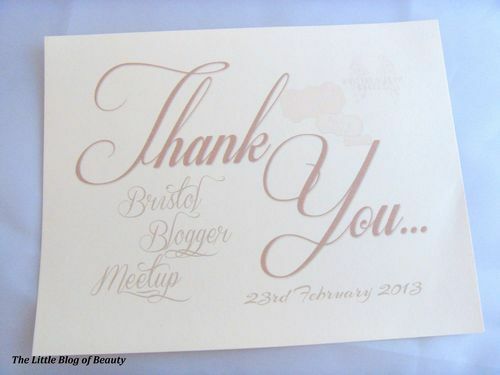 This time last week I attended the Bristol Bloggers meetup which was arranged by the beautiful Alessia from Whispers from angels and Sasha from Ramblings of a beauty bird. I am actually from up in the Midlands but my boyfriend lives in Cheltenham which is less than an hour from Bristol, so when I saw Alessia asking on Twitter if anybody wanted to attend the meetup I jumped at the chance to meet some other bloggers. 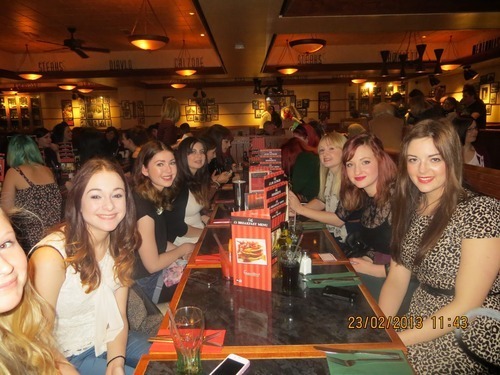 This was my first blogger meetup, which is not surprising as I have only been doing this since just before Christmas. The plans for the day involved meeting in Frankie & Benny’s for something to eat and a chat before heading off for a little bit of shopping and then meeting up again for some drinks afterwards. Unfortunately I arrived at Frankie & Benny’s slightly late (only by about 20 minutes or so luckily) after my Sat nav decided to send me completely the wrong way just outside Cabot Circus (despite using the post code given on the website for Sat nav users). I knew there would probably be quite a few people there but when I did arrive I was greeted by two very long tables of fashion and beauty bloggers. I didn’t get round to taking any photos myself but Alessia has kindly let me pinch some of her pictures to use here. 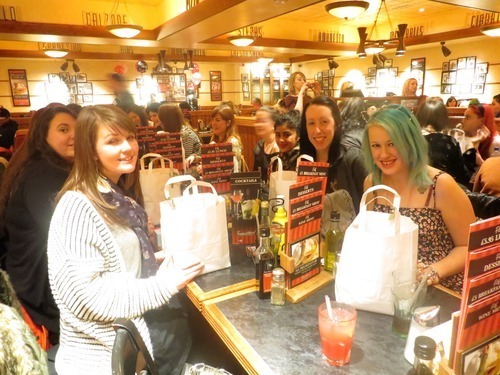 After chatting for a while and having something to eat we all received a goody bag put together by Alessia and Sasha. While these were being handed out I think we were all surprised to see that they were absolutely jam packed! After we had all had a nosey in our goody bags we headed off in smaller groups for some shopping. 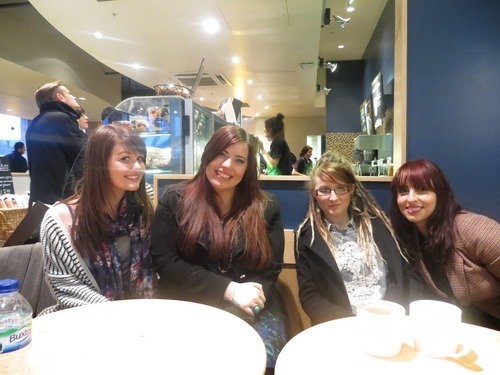 My group made stops in New Look, Topshop, Superdrug, Lush, Boots and at the MAC counter in the department store (I can’t remember which store this was!). I wasn’t intending to spend any money but I did have a £5 Topshop voucher and as my local Topshop doesn’t stock makeup I decided to take the opportunity to pick up my first (Topshop) lipstick. After shopping we then headed back to a coffee shop to meet up with anybody who was still around. I had to head off then but headed back to the coffee shop with my group so I could say goodbye to anybody who was still there. 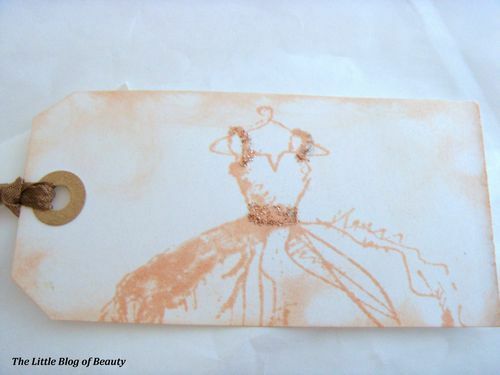 So, what was in that goody bag? The bags were kindly donated by Alessia’s dad and her mum decorated the bags with a lovely stamp in one corner and a beautiful decorated tag. The biggest surprise of the goody bag was discovering that each of us had received a full size Fine One One courtesy of the lovely Benefit. I think at first many of us thought it was a sample size product but it was soon confirmed that this was indeed full sized. Cue lots of excitement! 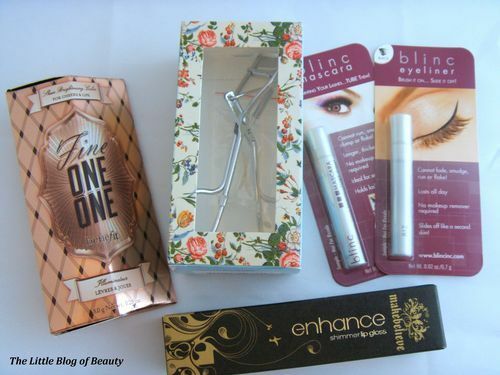 As well as Fine One One the other make up items I received included some The Vintage Cosmetics Company eyelash curlers, some Blinc mascara and eyeliner and a Makebelieve Enhance shimmer lipgloss. From Dr.Organic I received a full size Virgin Coconut Oil hand and nail cream, Moroccan Argan Oil day cream and a Virgin Coconut Oil night cream. 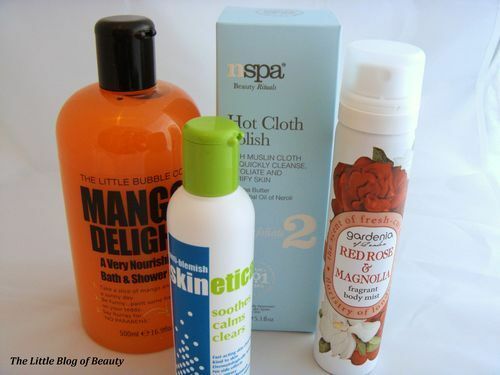 Other full size products included The Little Bubble Co Mango Delight bath and shower gel, Skinetica, Npsa Beauty Rituals Hot Cloth Polish and a Gardenia of London Red Rose and Magnolia fragrant body mist. There was also an array of sample sizes of different types of skincare, face masks etc. A couple of non-skincare/makeup items were also included. 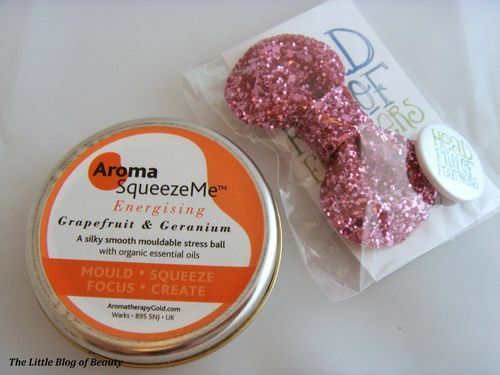 I believe some people may have received a candle but I received an Aroma SqueezeMe mouldable stress ball and last but definitely not least we each received a gorgeous hair bow from the lovely Jen from Head Full of Feathers, who attended the meetup. 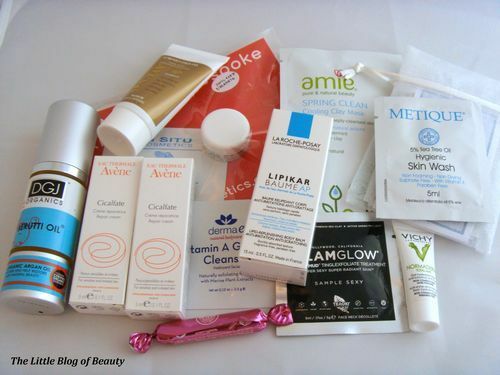 As I think anybody would agree the goody bag was amazing and I’m really looking forward to trying everything out. Obviously blog posts on everything I try will follow in the future. 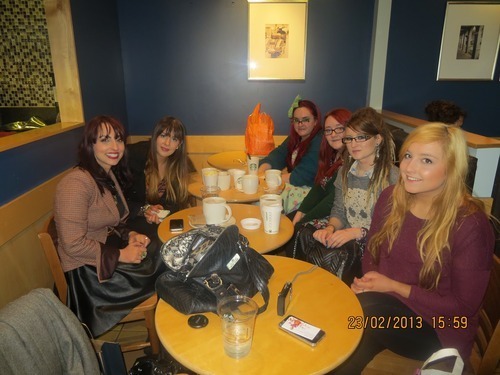 I had a lovely day at the meetup and met some amazing bloggers. Thanks again to Alessia and Sasha for organising it.